Sometimes you just get it right! This morning I started out trying a new recipe (risky as I’m cooking for 40 people and on a time frame). I tried a bread recipe that I thought would go with black bean soup. However, after I mixed and blended all the ingredients I realized it was too sweet for a luncheon bread so I poured it into a 10″ round spring form pan and turned it into a coffee glazed spice cake. The subtle flavors of the spices, the pop of the cumin seed combined with the not too sweet coffee glaze are scrumptuous, and it’s vegan! It even prompted a round of applause from the lovely group here at the Bog. So, go ahead and be adventurous, you won’t regret it! Grease a 10″ spring form pan. Heat oven to 180c or 350F. Stir all dry ingredients together in a large bowl. Slowly add wet ingredients until all is well blended. pour into pan and bake for 35-40 minutes or until tester comes out clean. Cool on rack, remove from pan and glaze. Comments Off on Oh Yum! Spring is here (or is it summer?) hmm… The ” official” word is that the freezing cold of last winter, coupled with the warm days of March and April have done wonders for the spring foliage in Ireland. 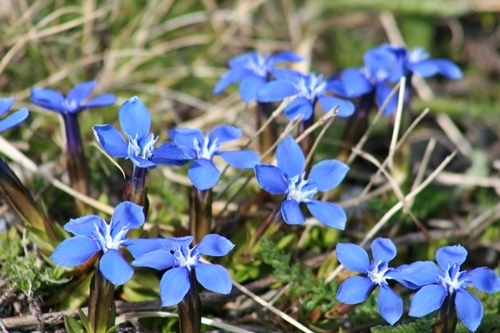 The spring gentians are bluer than ever and the Black Thorn Flowers are blinding! 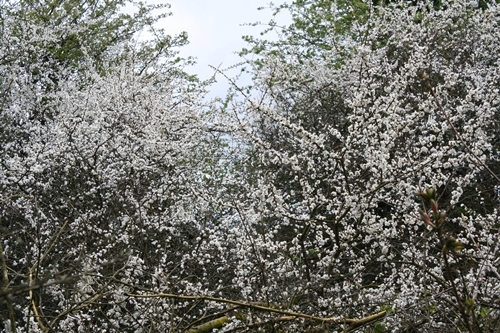 A bumper crop of sloe berries will make for a merry sloe gin bonanza next Christmas. But for now, we’re just enjoying the warm sunny days and cool nights of a very special time of year in one of the most beautiful corners of the world. Happy Easter! Brian and Andrew are proof that age dosen’t matter when learning how to cook! 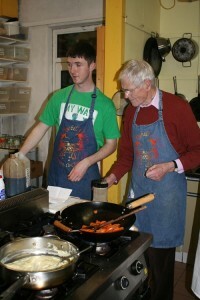 The first Men’s Only Cookery Class was so successful that I’m doing it again! 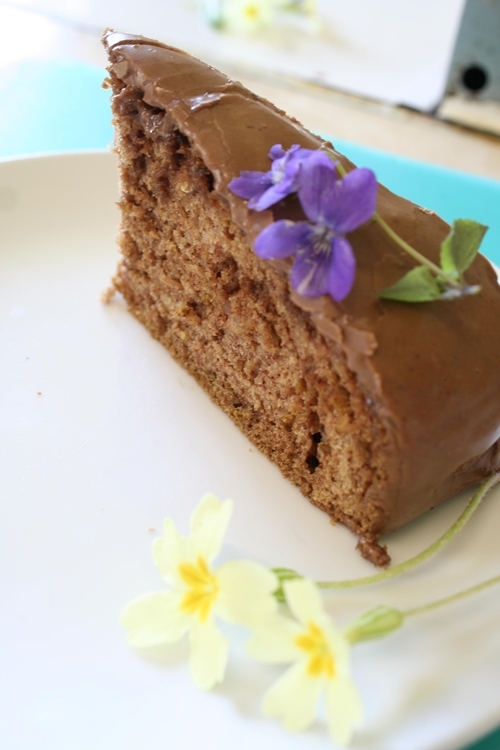 One enthusiastic participant says ” Your class changed the way I cook and eat, just fantastic.” The real reward for me was the enthusiasm and fun that was present in each class and all of the lads tried some of the recipes at home for their families, who were very impressed! So, if you want to start cooking and eating healthier, the next class starts Tuesday nights, 3rd of May for 4 weeks at the Boghill Ctre. from 8-10pm. Cost is 125 euro which includes all supplies, the meal we cook, recipe handouts and a copy of my cookbook Coming Home To Cook. Comments Off on More Men!